Just Added Saturday! 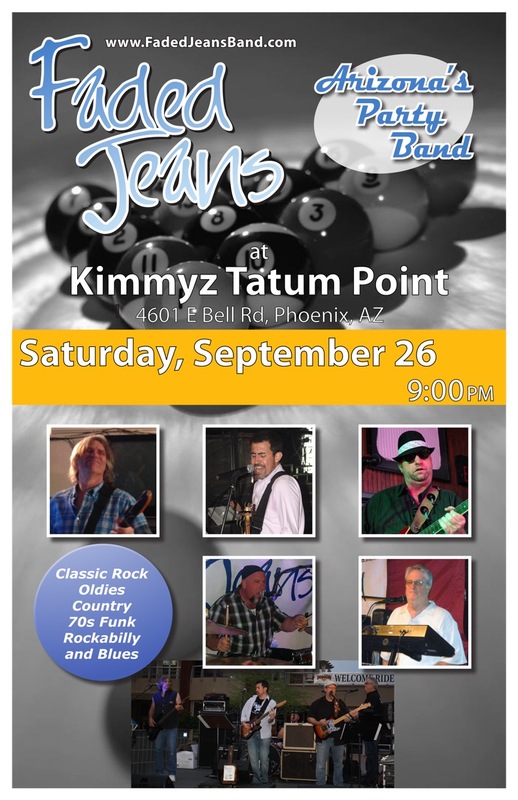 FJB at Kimmyz Tatum Point | Faded Jeans – Arizona's Party Band! ← Light up your Friday night with FJB! Spread the word! Feel free to forward this info to your friends and neighbors throughout the valley. This entry was posted in Updates and tagged AZ, Kimmyz Tatum Point, Phoenix. Bookmark the permalink.